IMCO's affordable alternative to stock cast iron Chevy manifolds and risers. Our all cast aluminum manifolds and risers will increase Horsepower, RPM, and Torque by 5 to 7% over stock cast iron manifolds and risers at a fraction of the cost. 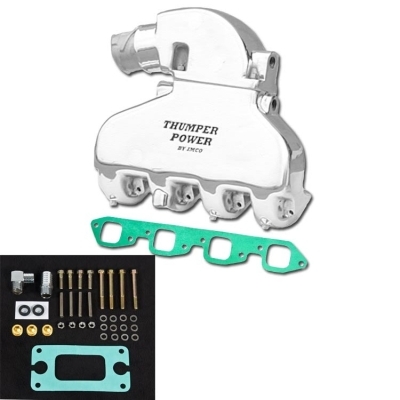 We have designed Thumper Power for everyone whether you're a high performance or family recreation boater.